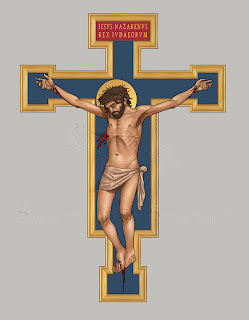 This weekend I started work on a scale model of a crucifix, for a larger one I hope to make later. The model is small enough to be portable, to be used to advertise my work. 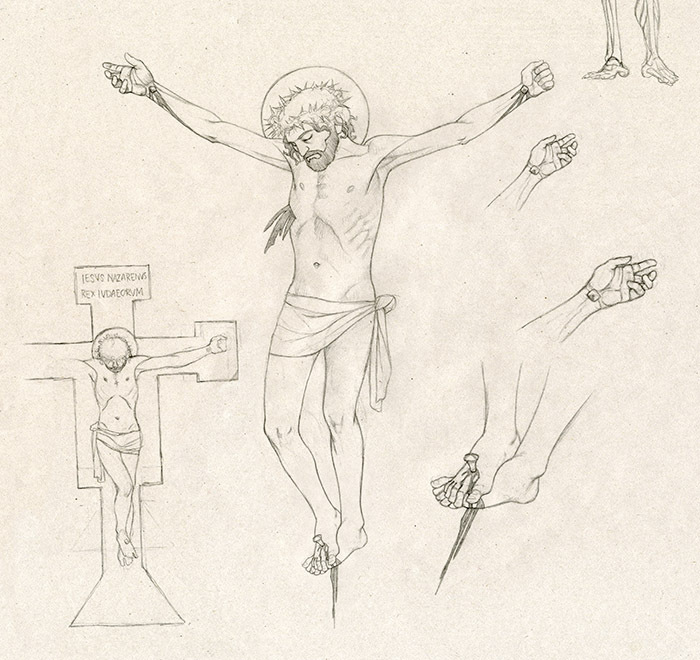 Below are the preliminary sketches, the design of the cross, and some process photos. 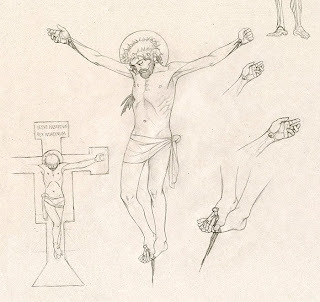 The design of the crucifix was intended to be fairly classical, but is not based on any particular existing piece. I have painted a replica of a crucifix by Giotto before, and so I've obviously incorporated some of that influence here. since I don't have a wood shop. The finished cutout, in 3/4" birch plywood. My son is helping me gesso the cross. That's awesome!! Are you going to paint this in oil or acrylic, or print out the digital image and apply? Kudos to Mr. Fickel for helping you too. God bless you in your endeavors to proclaim His Son through your work. Thank you! The plan is to paint it in oil, then apply moulding and metal leaf. Very cool! 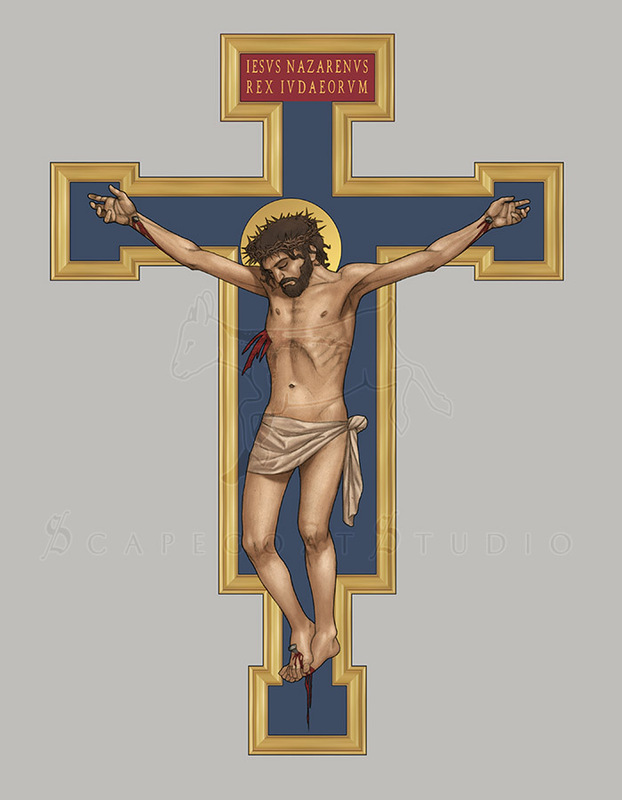 I will definitely consider paying you to make a processional cross for me.